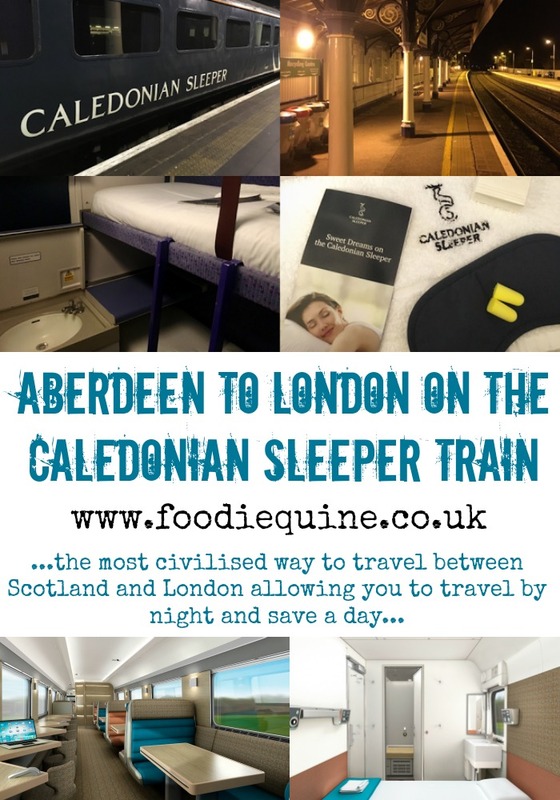 The Caledonian Sleeper train is the most civilised way to travel between Scotland and London allowing you to travel by night and save a day. Definitely a great railway journey to add to your bucket list with new rolling stock scheduled for Spring 2018. Those who follow me on social media will have spotted that we've been on somewhat of a foodie adventure in London for the first five days of the October half term. On this occasion our mode of transport was the Caledonian Sleeper train. We've travelled on the sleeper previously when the kids were younger and I've also traveled on my own as a first class passenger for a business trip. 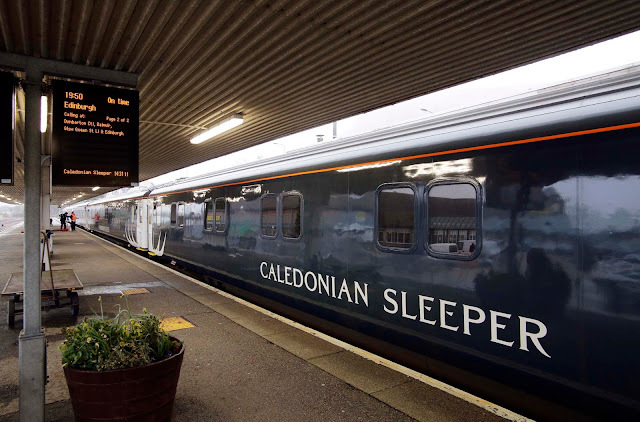 The Caledonian Sleeper is an overnight train service which runs between Scotland and London. There's something kind of magical about going to bed in one country and waking up in another. I'm sure it must be up there as one of the world's greatest railway journeys. Our point of departure was Stonehaven station where we boarded at 22:01 and arrived the next day in London Euston at 07.47. There are three choices of accommodation on board. First class, standard and seated. Upon boarding you are greeted by a host and shown to your cabin. Travelling as a family of four in standard class we were in adjacent cabins. Your host can open an interconnecting door between them for you which logistically works really well. At this point they'll also take your breakfast order for tea, coffee or juice. (If traveling first class there's the option of cooked breakfast in bed!) The cabins are small and space is tight to say the least. They are equipped with bunk beds, a sink, USB charging points (bring a long cable for these) and not much else. Cat swinging could indeed prove difficult. However literally all you are going to be doing is sleeping, washing your face and brushing your teeth in them. Before hitting the sheets if you wish to indulge in something to eat or drink you can head to the Lounge Car which is a wonderful place to socialise with your fellow passengers. In the Lounge you can pretend to be onboard the Orient Express whilst tucking into some Scottish food and drink (or you can practice your quickstep - did you see Kevin and Susan from Strictly on the sleeper train?) We didn't eat onboard on either leg of our travels but the menu looked enticing with a great selection of Scottish produce. Rock Rose Gin and Mackies Crisps were the perfect night cap before heading back to the Cabin. (Foodie Loon did ask what time the bar closed - the answer is that it doesn't!) A sleep pack is provided containing eye mask (alas not the unicorn ones that Kevin & Susan had), and ear plugs and there's also a bottle of water, soap and a towel. Male and Female toilets are located at the end of each carriage. But the big question is how did we sleep? Not too bad would be the answer. The earplugs and eyemask definitely help. I'd say ear plus are essential and you may wish to bring your own or use noise reducing headphones. There is a constant rumble of noise from the train, the tracks, tunnels and bridges. Plus the train splits and connects during the journey which can be a bit of a thunderous jolt to say the least. But in comparison to a long haul flight in economy you're lying flat, have sheets, duvet and pillows and no one pushing past you or hogging the arm rest. Not my best nights sleep but far from my worst. A morning knock on the door from our host woke us all up with our choices of breakfast drinks and the most amazingly crumbly shortbread from Reid's of Caithness. With that we were all set to head off on our Edible London Adventures. On the way home you can board the train in Euston from 20:30 and it departs at 21:15. Heading home the train seemed very long with the Aberdeen bound section right at the end of the platform. This is because it splits into three at Edinburgh Waverley in the early hours of the morning. The three sections then arrive later in the morning in Aberdeen, Inverness and Fort William. Don't go wandering through the train in the middle of the night or you could end up in the wrong place come morning! Top tip when travelling from London is to board early and head straight to the lounge car as it gets very busy and seats are at a premium. We disembarked at Stonehaven just before the scheduled arrival time of 07:15. If you're not going to the final destination you do need to make sure that you are ready to get off in plenty time as there are no announcements. There are definitely pro's and cons to the Caledonian Sleeper but for us as a family it worked well and here's why. When it comes to the cons many of these are about to be tackled with a brand new £150m fleet of trains set to come on track from spring 2018. 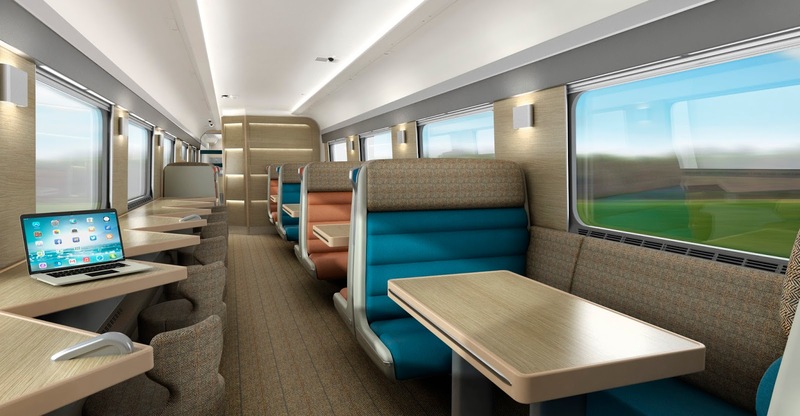 The new trains will offer a range of accommodation options including Suites (double bed with en-suite), Club Rooms (twin or single with en-suite), Classic Rooms (twin or single) and Comfort Seats. 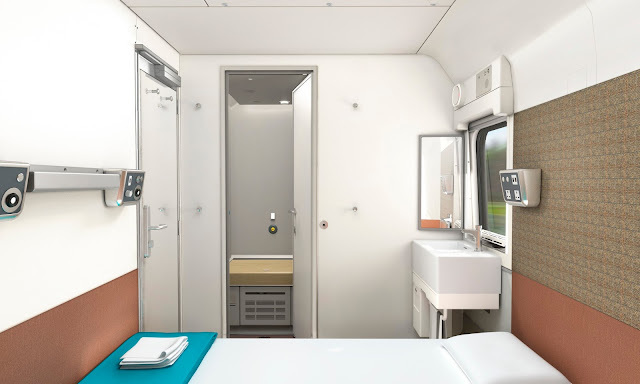 There will also be hotel-style key card entry system, more accessible rooms, upgraded panels for phone and gadget charging, and wifi throughout the train. Follow the journey of the new sleeper service at newtrains.sleeper.scot I for one can't wait to try out the reincarnation. Disclosure: We traveled to/from London as guests of the Caledonian Sleeper. Wow I'd love to travel on the sleeper train and yes I did see Kevin and Susan - how fun! Great review and looking forward to hearing more about the new fleet. I've never travelled on a sleeper train, it does seem like a great idea to be able to go to sleep and then wake up at your destination! What an interesting post! When I was wee we used to travel on the sleeper to Cornwall but I've got hazy recollections of this! The new double cabin looks great. This morning on my regular commute to Glasgow, I was sitting next to an off duty Caledonian Sleeper driver. He was heading back to Glasgow for a sleep before stRting another shift at 10pm tonight. When I told him you had travelled on the sleeper recently, he was genuinely concerned that you had slept okay. Nice to know your driver is interested in your welfare. You know what, I've never thought about this as an option to go to Scotland but it's actually a great idea, especially when you consider how long we spend in chairs on economy long haul flights! A really interesting read and those new trains look great too. I've always wondered what it's like to sleep on a train and this looks quite comfy! Going to put this on my bucket list for sure!